When buying a rug you may find that you come across words and terms you don't understand or have never heard of before. This glossary provides a break-down of jargon and terminology, so that you know exactly the type of rug you're looking at and buying. Border - This goes around the field and normally includes a wider bank and then includes repeating designs referred to as the main border. Cartoon - This is the grid pattern showing coloured spaces that rug weavers use as a guide to create the rug's design. Field - The field of the rug is the main design, which is then surrounded by a border. 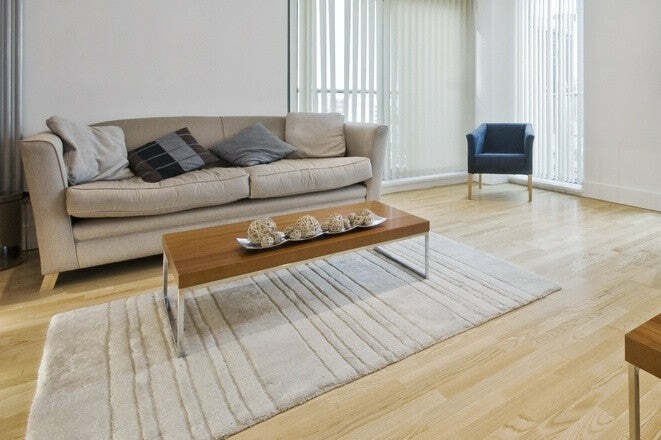 Flatweave - If a woven rug has no nap or knotted pile, it's a flatweave. Foundation - The total of the warps and wefts used to create a rug body. 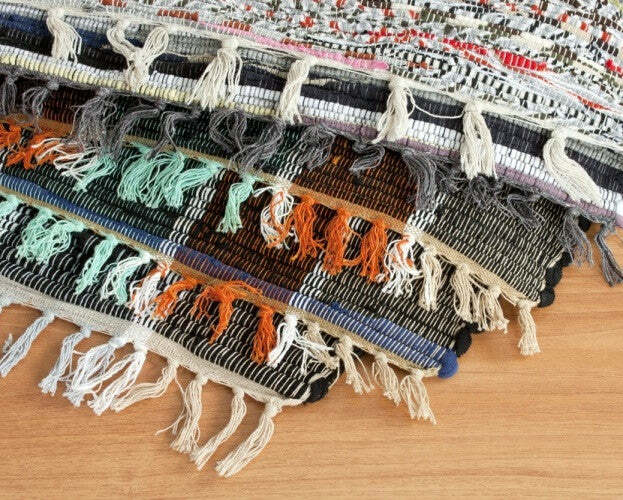 Fringe - When rugs are hand-knotted, the fringe is an extension of the main warps and special care is used to prevent the rug from unravelling. They could also be a border added to a manufactured rug. Hand-knotted rug - These rugs use a technique that has been around for centuries. The rug maker uses a special loom and ties all knots by hand. Many of these rugs are coveted by collectors and hung on the wall as an art form rather than placed on the floor. Hand-tufted rug - While these rugs are hand made, they're also made with the aid of a gun that makes the job go faster. A hand-knotted rug that takes months to make may only take a day to create with the aid of the gun. Machine manufactured rugs - These rugs use new technology like computers and large machines to create. They may look a great deal like hand-knotted but, unlike irregularities of the hand-knotted rugs, these rugs tend to be extremely uniform in weave throughout the rug. Node - It is a loop from the knotted warp seen when looking on the rug's back. Rug pile - These tufts can occur when the knots are clipped or the rug's nap. Whip stitch: When the rug is complete, this stitch is used to lock the ends in place. Tapestry weave - These patterns are created by within the rug and the wefts don't go from end to end. 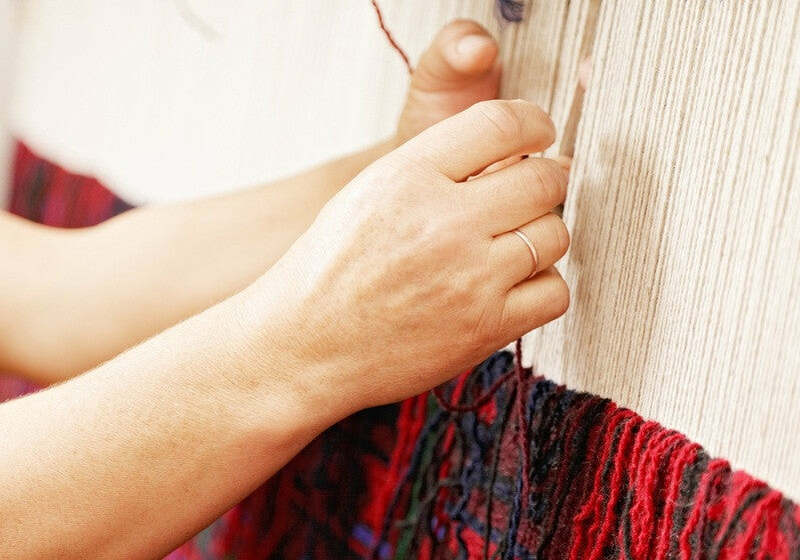 Warp - When weaving a rug, the structure first starts with parallel lines of yarn running vertically. These lines are interlaced with the weft. Weft - These interlace the warp horizontally in a rug. You may come across other rug-related words, but we think we've covered the most relevant. If you have any other questions about our wide selection of rugs please don't hesitate to contact us – we'll be happy to help.